Washington has returned the flags removed from Russian diplomatic property in the United States to Moscow as well as the archives from a closed Consulate General in San Francisco. MOSCOW (Sputnik) — Yet tensions still remain in the bilateral relationship, with Moscow saying that it may consider responding to the US treatment of its diplomatic missions. 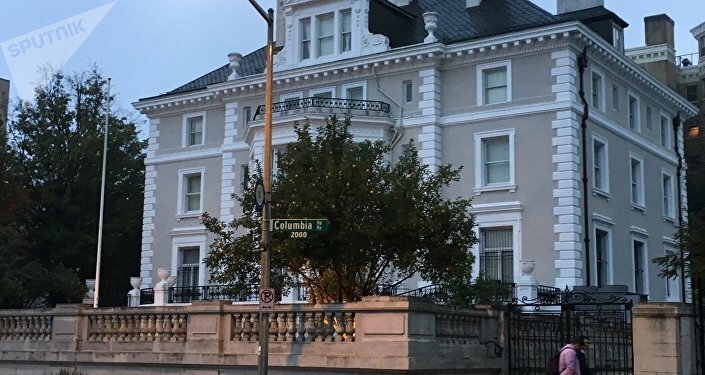 The Russian Embassy in the United States confirmed to Sputnik earlier in October that Russian flags had been taken down from Russian properties in Washington, DC and San Francisco. In early September, Russian diplomats lost access to the buildings themselves as the US authorities closed down the Russian Consulate General in San Francisco and trade missions in New York City and Washington, DC. The step was taken after Russia decided to reduce the number of US diplomatic personnel in Moscow. However, the back-an-forth regarding diplomats began as early as in late 2016, when then-President of the United States Barack Obama expelled 35 Russian diplomats and banned Moscow from accessing two of its diplomatic compounds on US territory. Russian Foreign Minister Sergey Lavrov called the removal of flags unacceptable in a phone conversation with his US counterpart Rex Tillerson. Lavrov also reiterated Moscow's earlier statement about the possibility of a lawsuit to return the property. 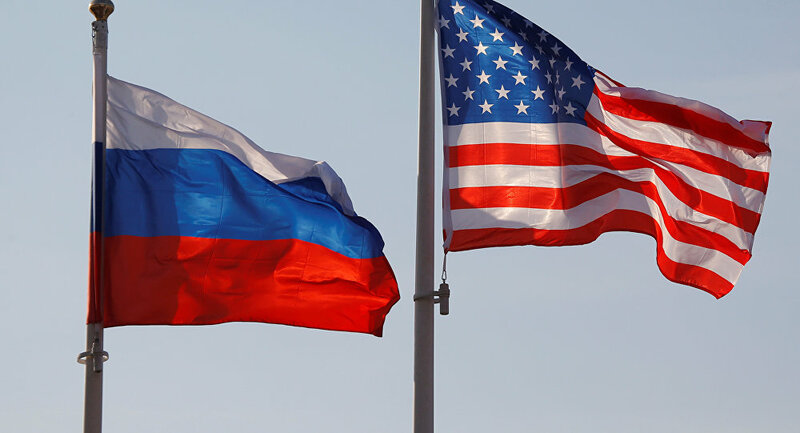 Commenting on the issue, Kremlin spokesman Dmitry Peskov said that the removal of the flags was an unfriendly gesture on part of the US authorities. He added that in such a case Russian President Vladimir Putin would "do what is in the interests of the Russian Federation." The flags have since been returned to the Russian side, Russian Deputy Foreign Minister Sergey Ryabkov said earlier on Wednesday. "Yes, they returned the flags and consular archives. But all this is accompanied by a series of actions that are absolutely unacceptable for us. These actions grossly violate the provisions of both the international consular convention of 1963 and the bilateral consular convention," Ryabkov told reporters. The Russian Embassy in Washington has also confirmed that the United States returned the archives of the Consulate General in San Francisco, but did not allow the Russian side to enter the building to retrieve the documents. The Russian diplomatic mission pointed out that the US side had breached the Vienna Convention on Diplomatic Relations. Ryabkov said that the constant provocations of the United States made it seem as if Washington was expecting Moscow to respond in kind, regarding US diplomatic missions in Russia. "We have not resorted to this because we treat the basics of diplomatic and consular relations differently, but international law accepts direct reciprocity, mirroring, if the country suffers such unacceptable and hostile attacks," Ryabkov said. The deputy foreign minister stressed that Moscow was warning the US side that "one does not forget such things." The Russian Embassy in the United States has also pointed out that the treatment of Russian diplomats allowed for potentially similar treatment of the US diplomatic missions in Russia. Moscow appears to be taking its time to assess the situation and decide which response would be best, according to Russian Consul General in New York Sergey Ovsyannikov. "I think we have taken a break now. We have to look around, catch our breath and evaluate the situation. It is upsetting, though, when two buildings, which were under [Russian] ownership, get taken away for no reason. And, most importantly, as the US citizens like to say, this is against the law," Ovsyannikov told Sputnik on Friday. The consul general said that Moscow or the Embassy in Washington would make the final decision. "In any case, it will be a concern for Moscow, and the Russian Embassy in Washington, which has international lawyers and a legal office," Ovsyannikov said. The diplomat said he could not rule out the United States taking further steps as the investigation into Russia's alleged meddling in the US presidential elections remained a prominent topic. Moscow has repeatedly denied the allegations of interference, stressing that they have never been substantiated. Heather Nauert, the spokeswoman for the US State Department, said earlier in October that the actions of the US side with regard to the properties were legal. Nauert said that the flags were "respectfully lowered and are safely stored within each of the buildings." "Taking down a flag from a property that they've had to vacate, is that legal or not?… I think that's actually a respectful thing to do: to take down the flag, to fold it up, to hold on to it for that government and offer it back to them, there are many governments around the world who wouldn't take that care of another nation's flag," Nauert said. However, the Russian side may already be looking for a law firm to represent its interests in court. Maria Zakharova, the spokeswoman for the Russian Foreign Ministry, said that positive experience with US firm White & Case made it possible to consider engaging it if Moscow decided to go to court. Russia May Demand Further Reduction of US Diplomatic Staff, Close Consulate Gen.